When the smoke rises, the leak is found quickly. With a smoke and fog simulation gas leak tests can be performed quickly and accurately. Fire simulations and safety drills are also possible - with equipment from Trotec! 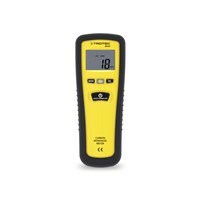 The Carbon Monoxide Meter BG 20 can measure quickly and reliably the CO concentrations in the range of 0 - 1,000 ppm. The values to ± 10 ppm are calculated and displayed clearly on the large, backlight display. 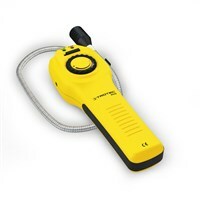 In addition, the carbon monoxide meter can store up to ten measurements. The gas detector BG 30 should wherever combustible gas is stored or used, be present. Do not take unnecessary risk, and check your camping gas cartridges for liquefied gas or gas soldering irons regularly for leaks.